Thank you for your love and beautiful life you shared with us. 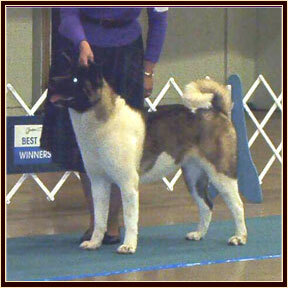 Precious is the dam of Ch Nissan, Ch Honda and Ch Onyx! 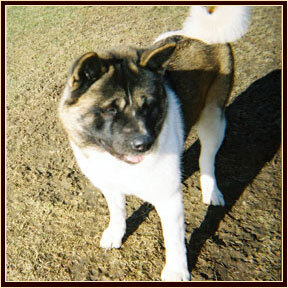 This Precious girl has made us proud by being a proven producer of loving and stable quality Akitas. Precious is a proven producer of THREE AKC CHAMPIONS out of a litter of 4! A special heart felt thanks to Priscilla, Nancy and Nina for taking such a great care of this sound and typey gal Ch Nissan!"